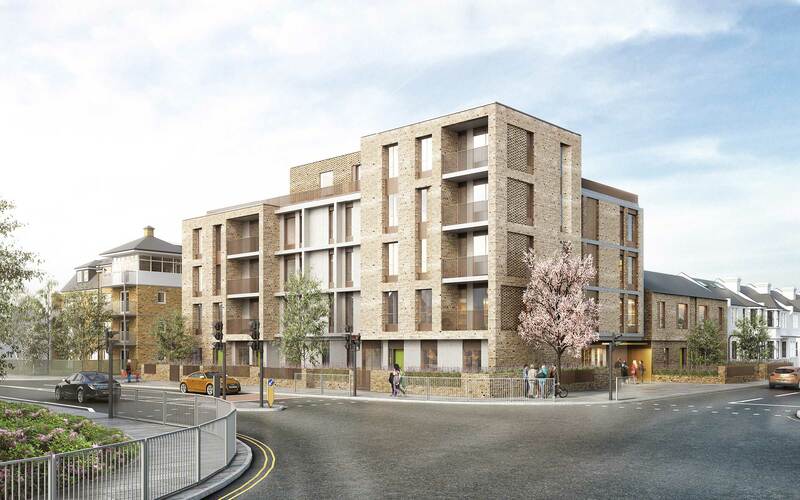 5plus are delighted to announce that work has now started on our Rowden Parade, Chingford development. 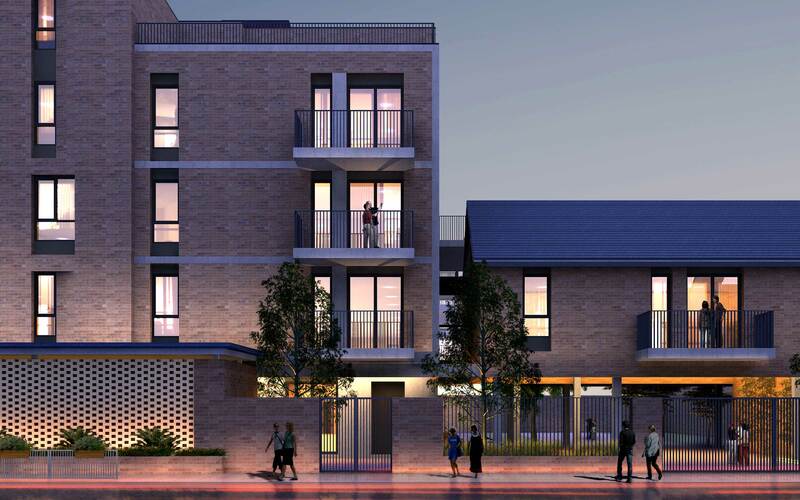 The project, located within the London Borough of Waltham Forest, is seeing the transformation of a brownfield site into high quality new homes for client KaiYang (London) Real Estate Ltd.
5plus has acted as architect for the scheme, successfully securing consent for a residential development of 30 units with amenity space and associated car parking and bicycle storage. 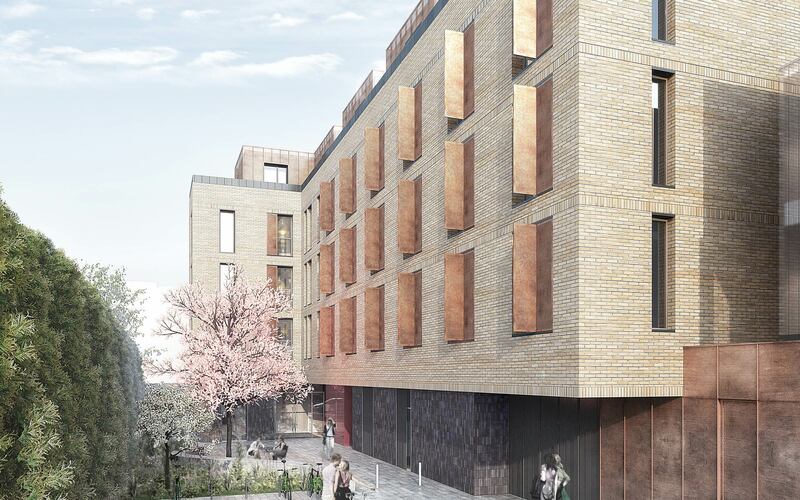 The mix of units includes five 3-bed, eleven 2-bed and fourteen 1-bed sustainable homes. The predominantly brick design is sympathetic to the local area in terms of scale, massing and materiality. Building heights align with neighbouring properties with a five-storey frontage addressing the primary streets and descending to two-storeys adjacent to existing buildings; the building line is set back in keeping with adjacent properties. 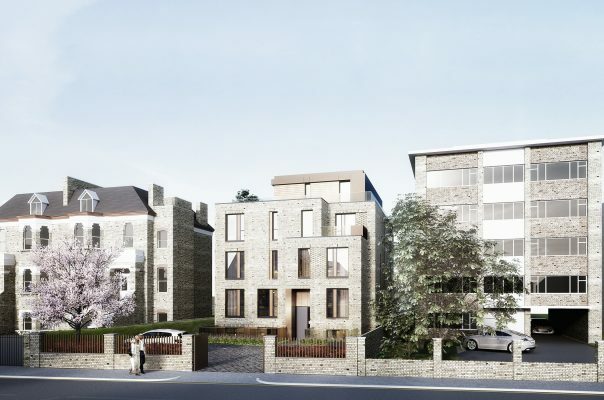 The site was formerly occupied by a garage and MOT centre with 4 residential units above which have been demolished to make way for the scheme. 5plus Director, Adam Thornton, has said of the scheme “After 5 years of development, it is fantastic to finally see the scheme we designed moving onto site. This has been achieved in collaboration with a design team and contractor committed to realising the original vision”. Contractor Thomas Sinden has been appointed to deliver the proposals. Construction work started in February 2019 and we look forward to seeing the scheme progress.